Everyone (yes, I’m sure you do too!) has a dream that come August you would be lying on a beach somewhere (Caribbean, Bahamas, Mediterranean – your pick) and just…existing. Enjoying the sun’s rays, the cool summer breeze, the tepid water as the waves whish against you. It’s an ideal summer paradise. Put in a hammock and a cocktail and it’s all there! But – since it is not always possible to escape reality other than in the idyllic locations created by the mind, Blogdramedy came to the rescue, through a summer challenge. 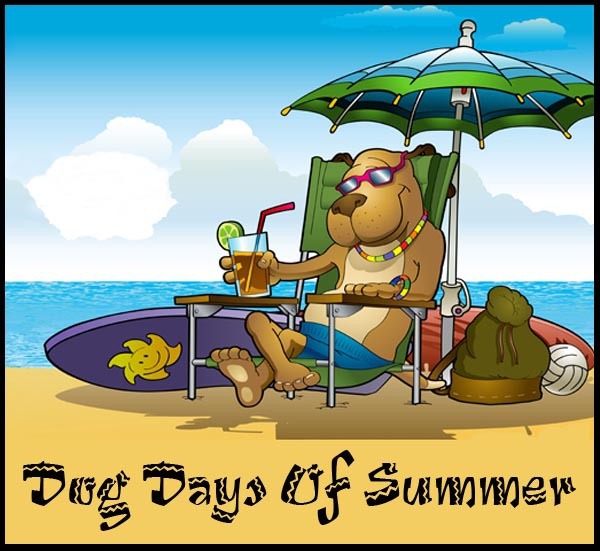 It is called BlogShorts: The Dog Days of Summer. The rules are simple: it lasts 10 days (1-10 August 2013) during which you have to write 10 short stories (one for each of nine famous dogs, and one of your own choosing) of 110 words each. The famous dogs are: Cujo (Stephen King’s one); Toto (from The Wizard of Oz); Lassie (no clarifications necessary); Fluffy (the three-headed dog from Harry Potter); Eddie Crane (from the TV series Frasier); Snoopy (we all know who that is, right? ); Frank (from MIB –Men in Black); Blacktoe (Will Riker’s dog from Star Trek: The Next Generation); and Odie (the cute yellow one with the big tongue from Garfield). It will be fun! And dogs are always clever, energetic, and slurping little rascals! So come along and join the fun – just remember to keep your dog on a leash, we don’t want any dog fights outside fiction, it’s too hot for that! Will Juanita finally marry José? During a period where news is dominated by politics, economy and crime, people turn to light-hearted television shows in order to get their minds off reality. They seek entry into another world, a different culture with ‘other problems’ in order to escape their own mundane routines. As such, telenovelas are the most preferred TV option, with these distinct soap operas being exported from (mostly) Latin American countries to all around the world, causing millions of viewers to fixate over them with anguish as to what happens next. But why are these telenovelas so popular? Because they provide an entertainment option that keeps you asking for more. Because you get drawn into the series as if it is part of your daily life; you become acquainted with the characters and learn to love them (or hate them). You want to know what happens next, what will happen to Bárbara? Will she finally get punished for all the evil she’s done? Will Alejandro marry Leticia in the end? And what about Eva? Will she reunite with her family and find out Pedro is her brother? And what is in Dolores’ past that is now haunting her? It’s exciting, often nail-biting, and simply…different. It’s exactly what you need for an hour a day – to escape from your reality and enter into the lives of someone else – to become part of their reality, their problems and their dilemmas. To take your mind of yours at least for those 60 minutes. Telenovelas are so successful because they make you feel part of these families, so close to them that you share their feelings and emotions. And sometimes this is the closest you can live in experiencing a fairytale. But most importantly, because in the end it makes you think about your own life and what you truly want to do. I too love watching telenovelas (given that they’re not dubbed – that just ruins it). They’re great because they give you all you expect from a 60-minute series – an adrenaline rush, a good cry, fear, empathy; it’s a roller coaster ride from your couch. It often includes it all – romance, comedy, drama, mystery, murder, passion – a bit of everything. And the best thing is that no matter the predictable storyline, you know you’re going to remain glued there till the very end. Because telenevolas are concise, and do not run on indefinitely. Most are written with a complete story in mind right at inception, which means they are conceived as a limited-run program, generally less than a year, with a well-defined beginning, middle, and ending. The storyline often carries a strong sociocultural message and is invariably laden with drama and emotions. And the best part – it is perhaps one of the most efficient ways to learn the language! Pure, everyday language. As well as getting a great insight into the country’s culture, particularly through the social messages it puts across and the music and traditions it depicts. So next time you want to escape from the ‘serious reality’ that surrounds you, how about tuning in to watch the life of Débora and Carlitos? It is guaranteed to make you feel better. 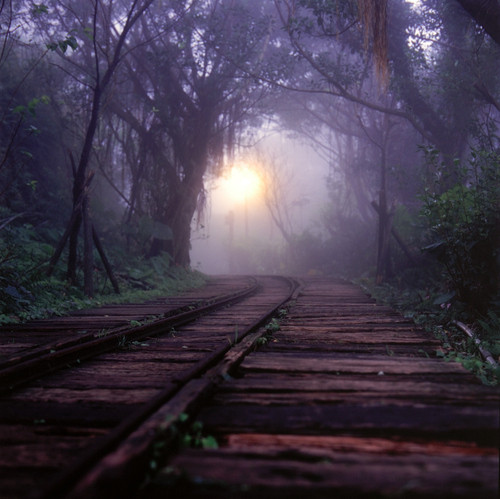 It was the midst of the night, in a dark, humid and particularly unwelcoming part of the forest. Night owls were perching on the trees with their eyes gleaming like crystal stars among the emerald leaves. Suddenly he stepped on a fallen branch and the crack awakened a whole swarm of tiny birds which screeched such a deafening noise in chorus that all Patrick could do was fall on his knees covering his ears. “Someone make it stop. Please,” he begged, as he sunk his head deeper into his chest and crawled up like a caterpillar on the floor of an enormous forest. He sat there for what felt like half an hour. His shoulders were already tense and his neck started to hurt. Where on this planet was he anyway? He took out his compass. That was no help at all. The needle had gone crazy, spinning around with no direction, making it completely useless. Antisios the prophet had told him to enter the unknown in order to find light. So what did that mean? The only thing unbeknown to Patrick in the area was that forest. And now he was at the heart of it. Still not knowing. And it was so dark he could hardly see his feet moving. Who knows what was even crawling, sliding, or marching beside him! As the birds disappeared amidst the trees, silence was restored. Now it all felt too quiet. So much, his breathing sounded as heavy as a trumpeter’s sighing. He walked on a little further. At the edge of his right eye he caught a rapid movement and froze on the spot, turning only his head to see a bear-like creature run with the speed of a leopard until it reached a thick-barked tree and then climb up it with the agility of a koala. “This is a weird place,” thought Patrick as he resumed his quest. He was already feeling tired. As if this journey had worn him out, both mentally and physically. If he did not succeed now, he would not bare it. He could not stand to lose once again. Defeat had torn him up and the very little energy he had left was feeding on his hope that this time would be different. This time he would find it. Light burst like a balloon popping in his face. He was blinded for a second and forced to jump a step back. When his sight was restored he saw a shadow before him, an image of a young maiden. A girl with golden curls trickling down her side, wearing a white dress with an orange trimming. She was walking towards him. He was startled. “I knew you would find me,” she said, as she fell into his arms. “I was ready to die trying. My Juliette,” he replied, as tears slid down his cheeks. He had found her at last. She was his light in the darkness. And now they were together. But every media professional knows that for a story to be newsworthy it simply needs to gain the attention of the audience, and…sell. That is why tabloids and gossip magazines tend to have a wider reach than the more “serious” press. Because people after all are more interested in gossip – in the lives of others – and “light” social news, than what goes on around them. 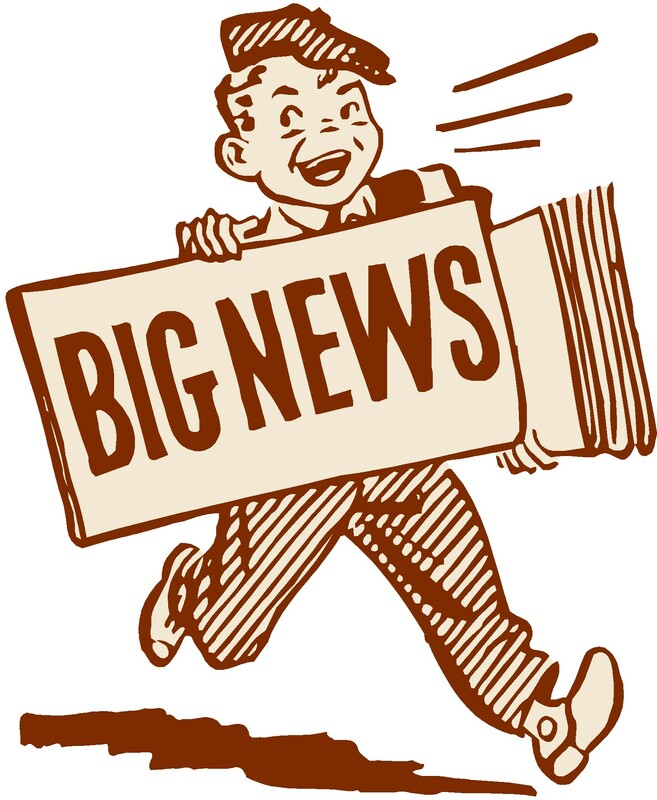 The “real” news is not whether Parliament passed a bill on a tax measure, or whether a civil war broke out in the Middle East; it is rather whether a known celebrity has given birth, or whether an actor got married. As such, the birth of the royal baby on 22 July gained an unprecedented extensive coverage globally, overshadowing the fact that a 6R earthquake in China killed 94 people, or that the conflict in Syria was fueled when rebels seized a northern town in the Aleppo province. Instead of that, millions of people gathered in endless crowds to stand for hours outside a hospital, when news of the birth would come from the palace, and viewers from around the world tuned in to watch the 24 hour coverage of what was dubbed as “news”, but in essence was nothing more than gossip – people of all sorts, simply stating their opinion on camera. The Private Eye was perhaps most satirical (and realistic) about this, stating what was obvious – that a woman had a baby. But people are interested in news such as this for the mere reason that it involves people who are prominent, celebrities; people who are believed to live a life of luxury and glamour, carefree, and comfortable, getting to do exactly what they want without thinking twice about it. It’s as if these people are part of a different world unbeknown to the common masses that read these gossip columns. People love to talk about each other. Isn’t that the reason why everyone logs onto social media sites? It’s not to read about the meeting of ministers that took place this afternoon. No. It’s to see who’s dating who, and to get up-to-date with all the latest “hot” pieces of “news”. It’s what fascinates people. And it is certainly much more fast-paced and ‘enjoyable’ than the usual stalemate and repetition of politics. It’s the sensationalized stories that sell, the ones that reach out to the humane and curious nature of mankind, the ones that offer a variation to the troubled lives of the masses, and the ones that say something different. Perhaps that is a message the people’s representatives should receive loud and clear (if they care about public life that is, and are not idiots) – that in essence they are not even newsworthy any more. “I call shotgun!” he yelled as he raced to the car, opened the Jeep door and clambered up onto the passenger seat. Virginia smiled, as she saw her son beaming with excitement. Going to the ranch was Trevor’s idea. He had wanted to get out of the city for so long and this was a perfect weekend to do so. He had even managed to get Tommy all thrilled about it. So it had to be an amazing time. It was a three-hour drive up to the ranch. Tommy was wide-eyed and gleaming all throughout the scenic route. There was no way he was going to sleep this one out! As the car approached the driveway, Hector and Elisa emerged from inside the large wooden doors of the house and waved, happily strolling towards them. They hadn’t seen them for years and it could get lonely up there. Trevor got out of the car and took a deep breath, inhaling the beauty of the countryside and the pureness of the air. There was just something different in the atmosphere there. But Virginia felt differently. She shivered as the breeze hit her, as if something eerie had brushed against her. She had never been to the ranch before, but she could see the sparkle in Trevor’s eyes whenever he talked about it, and just couldn’t say no. Particularly, when Tommy also lit up in the prospect of visiting a ranch. But there was something strange there. Something that just didn’t seem right. For now, she decided to ignore it. It was going to be a fun weekend. And nothing was going to spoil that. After a delicious lunch with Hector and Elisa, Virginia went for a stroll down the lake with Tommy, as Trevor inspected his childhood dwellings and the changes that had occurred all these years. The stables were spotless, and all the animals were superbly taken care of. 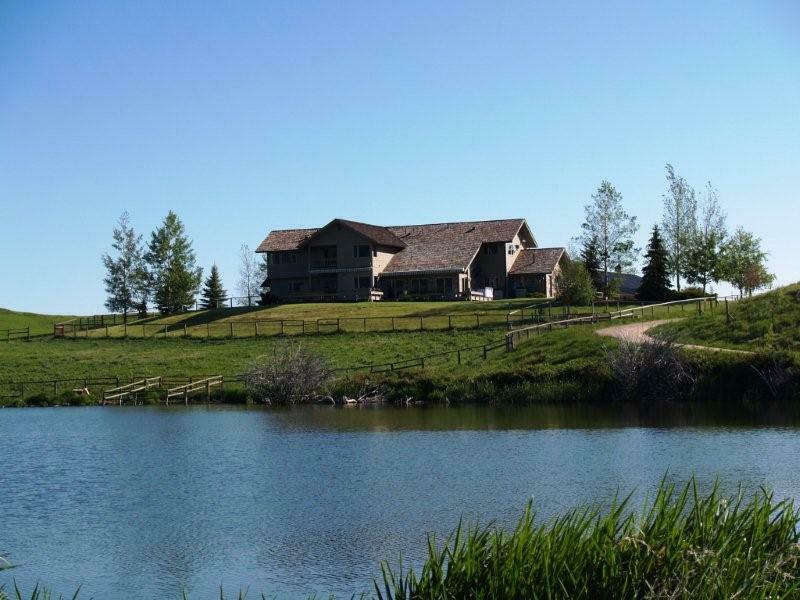 The ranch was in good hands and being there transmitted a feeling of calm, tranquility and peace. All of which were absent in a big city. The sunset was majestic. And as the lake gulped up the last ray, Tommy took hold of his mother’s hand and made their way back up to the house. Elisa had prepared a luscious dinner out on the porch, where the only sounds heard were the nightingales singing and the river flowing melodically along. Night came before anyone even realized what time it was, and soon they were all sound asleep in the most comfortable beds they had ever experienced. 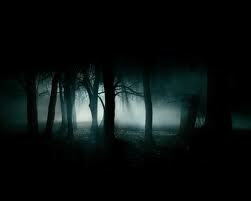 But, in the pitch black of the night, that serenity was disturbed by a deafening shot. A shot that felt like a piercing in the ears, as if a thousand plates were broken all at once, smashed onto a marble floor. Trevor sprung up in fright. A strange feeling had overwhelmed him. He felt his way into the hall, desperately trying to find a light switch. When he finally did, he felt the electric currents flow into his veins. Cold sweat trickled down his back as light flooded the room. His heart was pacing as if he had just sprinted there as fast as he could. His mouth was dry and he felt a lump in his throat. But no matter how hard he tried in the years to come, nothing would ever erase from his mind the sight he witnessed before him at that very moment. Virginia lay there half-naked in a pool of her own blood. Rigid. Empty. Lifeless. Luke was broken-hearted. Not because of love lost, but because of love not found. He felt alone, fighting against the waves in a boundless ocean during a storm. There were days when he even felt his heart stop and his lungs as heavy as a rock, obstructing him from taking the slightest of breaths. Luke was alone. And every so often he felt a void in his soul, like that little crack on the sill under the window he used to stare out of. Wind would gush in through it and stir a chill in an otherwise tepid room. It was strange. But yet refreshing. Sometimes even exhilarating. He had to move on though. Staying still was not an option. And it would simply make that crack inside of him grow larger. Luke decided he would try to mend that gap. And he would start by that crack at the window that was bugging him for years now. He got up, put on his hat and strode off to the market down the street. He knew everyone in the neighbourhood. Maybe that was the problem, though. There was nothing new. Nothing seemed to evolve. It was a repetition of the day all over, every day. And it was simply…boring. To him it was a sign of stagnation, a lack of progress. And something needed to change. Radically. He bought some stock to mend the crack and some plaster, in case that didn’t work. In less than an hour, the crack was gone. Or so it seemed. At least it was no longer visible. Not entirely. As to how long it would last…that was a different tale. But Luke had made the effort. And he was determined to now fix the part inside of him that was broken. He was going to leave. No matter what that old fortune-teller had told him. He was going to take that step. After all, he would never know unless he tried. and would never be thought of as sloppy. and believed he would rule them all shortly. to always be filled with big, fresh, sea bass. for that made him more jolly and bossy. as he often stated he “didn’t give a franc”. and only proven by the private-eye. and was considered the chief of the posse. vowing power to never surrender. 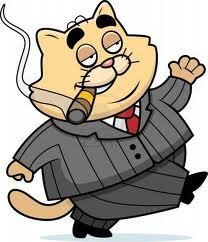 of why a fat cat is thus so-called! I have one such friend. A person with whom I literally grew up. The other day, I was sorting out some old stuff. And I found that I have been sharing my life with this penfriend since even before my teens. It’s funny to see how we evolved together. How we shared our daily routines, from the time we went to school, our high school crushes, our hobbies and interests, and how this later turned out into something more “serious”. Into going to study what we love at university, finding work and leading a “grown-up life”. My friend and I have shared a lifetime together. But we have never met in person. Having only known the image of each other from photos, we grew closer together from our writing. From these letters we exchange every so often. Even in this digital age, and despite our contact on social networks, we still write letters to each other in the traditional way – yes with pen and paper. Why? Because it’s fun! Because no matter everything else that changes, this is something that remains constant. Because no matter where in the world we are, we still write to each other and share our experiences, our thoughts and concerns. 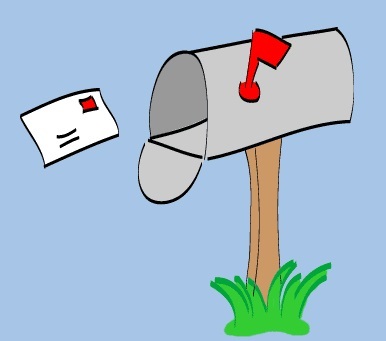 Because there is a certain elation in getting a letter in the post, that you know is exclusively for you and does not demand any money in return. Because it simply is a joy. Growing up with a penfriend from across the world, I have learnt to indulge into different cultures. To want to know more about how people outside the constraints of my nation live, think and act. I have learned to appreciate difference and diversity and have learned to value the importance of human contact. You can’t live life alone. And sometimes when you want to escape the toxic routine of your daily life, having a penfriend, someone who will let you in on their own life even from afar, will help you do just that. I love having a penfriend. And after so many years and countless letters, I still look forward every time to the moment I will open the post box and find her letter waiting for me. It is an excitement that words cannot describe. Because sometimes it is the joy in the simple things that become your greatest treasure. “No. I was simply wondering if there were any audio effects to it,” she smiled cheekily. Rita seemed confused. What did the dream mean? Lost in her thoughts she was startled by Puffy, the golden retriever who came over to announce it was time for his walk. He jumped on to the chair next to her and knocked off a bunch of clothes and bags piled up there, including Rita’s favourite brown teddy bear which popped out from under a t-shirt as it fell on the floor. 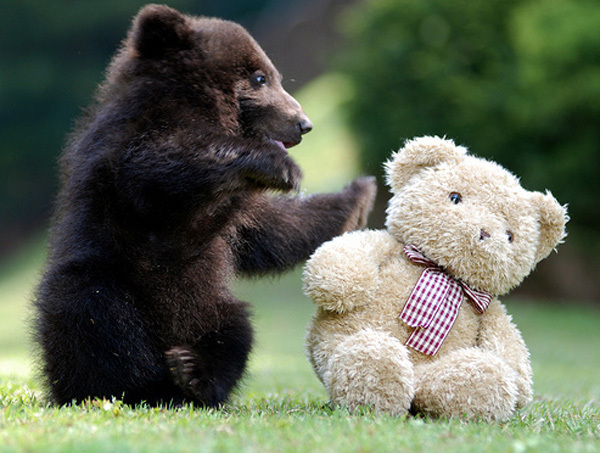 That very bear she had been looking for all week. Rita smiled and looked at Nanna whose wisdom eyes gleamed in the morning sunlight. The subconscious is a funny thing after all. 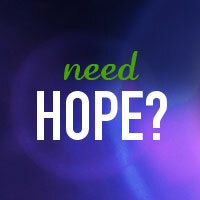 So, what seems to be the biggest problem during this past decade? Is it empty promises that lead to nothing? Austerity policies pushing for more cuts, lower wages, and a soaring unemployment that simply cannot be controlled? It’s all of the above. It’s the bad handling of policies by a group of people whose only concern was to take care of their own lives. And now, leaders from all over the world are gathering every so often, in one bustling city or another, in order to, as they proclaim “find ways to combat” youth unemployment, or the recession, or the financial crisis in general. What no one admits though is that we live in a 21st century, that all the more looks like the Middle Ages. In order to survive, you have to already have money. You have to have a financial capital behind you so that you can go out and look for a job, and afford to take on two, three, even five internships at minimal (or even absent) pay, before landing a full-time job. You have to have the professional experience and skills for permanent employment simply in order to get an unpaid traineeship. And what’s worse: everyone expects you to be grateful for it. For simply offering you the experience. Or simply because you have a job – no matter how badly paid that is, how many hours you work, how exploited you are. We live in an era were only the wealthy survive. The middle class does not exist. And the lower ranks are ignored. We live in a society where in the midst of an economic crisis and in a state on the verge of default, bankers and civil servants have the audacity to demand bonuses and higher wages, when the private sector employees are sacked without even compensation. And then, the very people whose debauchery and later recipe of austerity led to this very situation, are the ones who declare that unemployment will be reversed if the same policies continue, with a few structural reforms for good measure. Reforms that further lower people’s living standards. People ruling, or rather, the ruling elite, live in their own gilded towers, in a bubble. They fail to understand the concerns of the “ordinary folk”. They fail to walk in their shoes, because they have elevated themselves so far up that they have lost touch with it all. And if a politician has no contact with his/her “polis”, the people who elected him/her, then s/he loses all credibility. And all you have out there is just another selfish “official” only aspiring for more (personal) power.